Mary Parker Follett said, "Business [...] is pioneer work [... using] the organized relations of human beings, [and] seems to me to offer as thrilling an experience as going into a new country and building railroads over new mountains" (1942, p. xxi). Despite the phrase "organized relations" implying theory, this sounds like the siren call of the wild, an experiential dive into the frontiers of business. But we rarely create new ideas in business: we tend use old ideas - theories - in new ways. 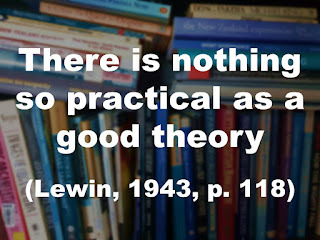 Management researcher Kurt Lewin wrote that "a business man once stated that 'there is nothing so practical as a good theory'" (1943, p. 118). Much of my management teaching has been shaped by that underpinning idea: that theory is the codifying of practical application in the field. A good theory is the tried and tested recipe for getting things done with people, efficiently and effectively. 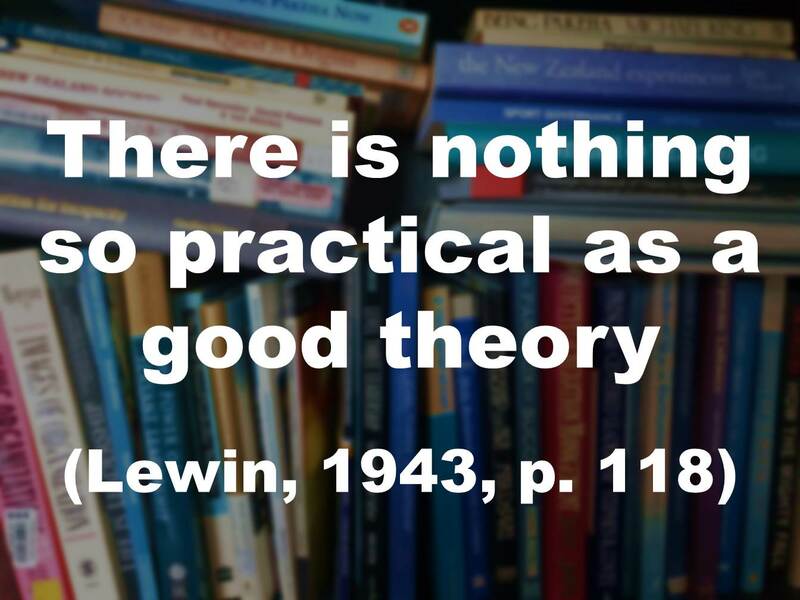 Theories are the starting place to teach practice. They get tested through application. They will change and evolve over time as our knowledge of causal and contributory factors improves. When I teach, I start with theory, break it down, and get students to apply it, find other examples, and try it for themselves. But what is interesting is that many of our most beloved theories have little evidence to underpin them. For example, Maslow's Hierarchy of Needs (1943) looks logical - i.e., that we cannot move onto self-actualisation if our physiological needs are unmet - yet to the best of my knowledge, there have been no research which proves the model 'works' in toto. What is also interesting is that we didn't even include his final layer of 'Transcendence', which proposes that the model's highest level is doing things for altruistic reasons (Maslow, 1971). I am not suggesting that we shouldn't teach theory. 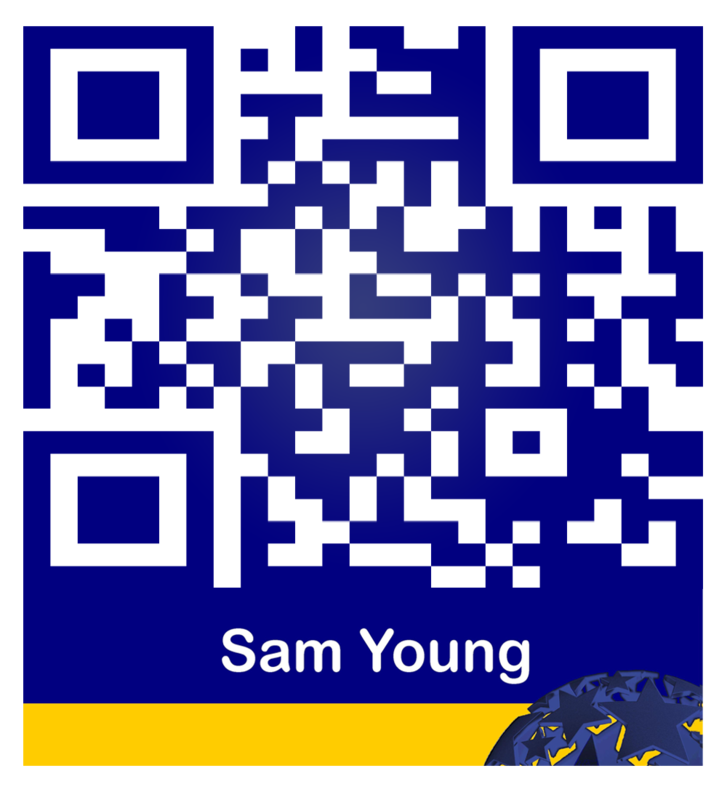 I am suggesting we teach theory alongside the evidence. We keep using old 'tried and tested' models, but we must discuss the 'tested' and explore how replicable they have been found to be. Additionally, there is a further aspect of theory we need to consider: how appropriate the use of a theory is in a particular situation. As Wood, Phan and Wright suggested, we "don’t ask often enough why a particular theory should be applied to a particular phenomenon and, more important, if it makes sense to impose a theory on that phenomenon" (2018, p. 405). We may overly complicate already complex environments by trying to impose a new fad, or an ill-fitting model. I have seen this in workplaces which jumped in on the LEAN (Ohno, 1988) rush a few years ago, in organisations which were not trained for it; not philosophically ready for it; and not truly supportive of it. This lead to disillusioned staff, wasted effort, and fewer available resources: the opposite of what the application of the theory was intended to do. If we want to keep theory practical, we need both applicability, and appropriateness. Something to remember. Follett, M. P., & Metcalf, H. C. (Ed.) (2003). Dynamic administration: The collected papers of Mary Parker Follett - Early sociology of management and organizations. USA: Psychology Press. Maslow, A. H. (1971). Farther Reaches of Human Nature. New York, USA: The Viking Press. Ohno, T. (1988). Toyota production system: beyond large-scale production. USA: CRC Press.